Other ravers disagree. “Man, ball pits are the best,” says overly enthusiastic 45 year old creepy party guy Michael Muggles. 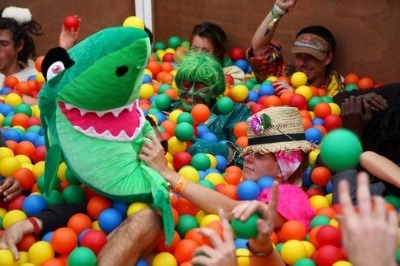 “I always love the crowd that ball pits attract. A rave that’s just one giant ball pit? That warms the cockles of my old, skeevy heart."